Match ends, Persepolis 0, Kashima Antlers 0. Second Half ends, Persepolis 0, Kashima Antlers 0. Substitution, Kashima Antlers. Takeshi Kanamori replaces Hiroki Abe. Delay in match Kwoun Sun-Tae (Kashima Antlers) because of an injury. Kwoun Sun-Tae (Kashima Antlers) wins a free kick in the defensive half. Foul by Ali Mosleh (Persepolis). Godwin Mensha (Persepolis) wins a free kick on the left wing. Foul by Jung Seung-Hyun (Kashima Antlers). Léo Silva (Kashima Antlers) wins a free kick on the right wing. Foul by Shojae Khalilzadeh (Persepolis). Attempt missed. Ahmad Nourollahi (Persepolis) left footed shot from the centre of the box is too high following a corner. Corner, Persepolis. Conceded by Serginho. Corner, Persepolis. Conceded by Daigo Nishi. Corner, Persepolis. Conceded by Kwoun Sun-Tae. Attempt blocked. Bashar Resan (Persepolis) right footed shot from outside the box is blocked. 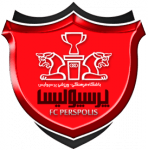 Ali Mosleh (Persepolis) wins a free kick in the attacking half. Attempt missed. Shojae Khalilzadeh (Persepolis) right footed shot from the left side of the box is close, but misses to the left. Assisted by Ali Mosleh. 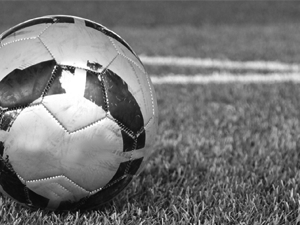 Hand ball by Serginho (Kashima Antlers). Corner, Persepolis. Conceded by Ryota Nagaki. Foul by Kento Misao (Kashima Antlers). Ehsan Alvanzadeh (Persepolis) wins a free kick in the defensive half. Foul by Hiroki Abe (Kashima Antlers). Bashar Resan (Persepolis) wins a free kick in the defensive half. Attempt missed. Godwin Mensha (Persepolis) right footed shot from outside the box misses to the left. Assisted by Kamal Kamyabinia. Foul by Serginho (Kashima Antlers). Attempt missed. Ali Alipour (Persepolis) header from the centre of the box is just a bit too high. Assisted by Bashar Resan with a cross. Substitution, Kashima Antlers. Ryota Nagaki replaces Yuma Suzuki because of an injury. Delay in match Yuma Suzuki (Kashima Antlers) because of an injury. Attempt missed. Shojae Khalilzadeh (Persepolis) header from the centre of the box is close, but misses to the left. Assisted by Bashar Resan with a cross following a corner. Corner, Persepolis. Conceded by Shuto Yamamoto. Ali Mosleh (Persepolis) wins a free kick in the defensive half. Corner, Kashima Antlers. Conceded by Ali Alipour. Corner, Kashima Antlers. Conceded by Alireza Beiranvand. Corner, Kashima Antlers. Conceded by Shojae Khalilzadeh. Foul by Koki Anzai (Kashima Antlers). Daigo Nishi (Kashima Antlers) is shown the yellow card. Substitution, Persepolis. Ehsan Alvanzadeh replaces Mohammad Ansari because of an injury. Léo Silva (Kashima Antlers) wins a free kick in the defensive half. Foul by Kamal Kamyabinia (Persepolis). Substitution, Kashima Antlers. Koki Anzai replaces Shoma Doi. Foul by Gen Shoji (Kashima Antlers). Ali Alipour (Persepolis) wins a free kick on the right wing. Substitution, Persepolis. Mohsen Rabiekhah replaces Adam Hemati. Attempt missed. Ali Alipour (Persepolis) left footed shot from outside the box is close, but misses to the right. Hand ball by Ali Mosleh (Persepolis). Hiroki Abe (Kashima Antlers) wins a free kick in the defensive half. Hand ball by Ali Alipour (Persepolis). Attempt saved. Bashar Resan (Persepolis) right footed shot from outside the box is saved in the bottom left corner. Assisted by Ahmad Nourollahi. Léo Silva (Kashima Antlers) wins a free kick in the attacking half. Foul by Ahmad Nourollahi (Persepolis). Attempt missed. Shoma Doi (Kashima Antlers) right footed shot from outside the box misses to the left. Assisted by Serginho. Yuma Suzuki (Kashima Antlers) wins a free kick on the left wing. Shojae Khalilzadeh (Persepolis) wins a free kick in the defensive half. Yuma Suzuki (Kashima Antlers) wins a free kick in the attacking half. Daigo Nishi (Kashima Antlers) wins a free kick in the defensive half. Bashar Resan (Persepolis) wins a free kick in the attacking half. Godwin Mensha (Persepolis) wins a free kick in the defensive half. Shoma Doi (Kashima Antlers) wins a free kick in the defensive half. Second Half begins Persepolis 0, Kashima Antlers 0. First Half ends, Persepolis 0, Kashima Antlers 0. Foul by Mohammad Ansari (Persepolis). Léo Silva (Kashima Antlers) is shown the yellow card. Léo Silva (Kashima Antlers) has gone down, but that's a dive. Attempt blocked. Adam Hemati (Persepolis) right footed shot from the right side of the box is blocked. Attempt saved. Ahmad Nourollahi (Persepolis) left footed shot from outside the box is saved in the bottom right corner. Assisted by Shojae Khalilzadeh. Mohammad Ansari (Persepolis) wins a free kick in the defensive half. Foul by Yuma Suzuki (Kashima Antlers). Attempt saved. Bashar Resan (Persepolis) left footed shot from a difficult angle on the left is saved in the bottom left corner. Assisted by Kamal Kamyabinia. Kamal Kamyabinia (Persepolis) wins a free kick in the defensive half. Corner, Kashima Antlers. Conceded by Ali Mosleh. Attempt missed. Yuma Suzuki (Kashima Antlers) right footed shot from a difficult angle and long range on the right is close, but misses to the right. Assisted by Jung Seung-Hyun with a headed pass following a corner. Attempt saved. Ali Alipour (Persepolis) header from the centre of the box is saved in the top centre of the goal. Assisted by Ahmad Nourollahi with a cross. Foul by Shuto Yamamoto (Kashima Antlers). Adam Hemati (Persepolis) wins a free kick on the right wing. Attempt blocked. Serginho (Kashima Antlers) left footed shot from the centre of the box is blocked. Assisted by Léo Silva. Kento Misao (Kashima Antlers) wins a free kick in the defensive half. Foul by Godwin Mensha (Persepolis). Corner, Kashima Antlers. Conceded by Seyed Jalal Hosseini. Attempt saved. Ali Alipour (Persepolis) header from the centre of the box is saved in the top centre of the goal. Assisted by Bashar Resan with a cross. Attempt saved. Seyed Jalal Hosseini (Persepolis) header from the centre of the box is saved in the top right corner. Assisted by Ahmad Nourollahi with a cross. Corner, Persepolis. Conceded by Kento Misao. Hand ball by Adam Hemati (Persepolis). Attempt blocked. Serginho (Kashima Antlers) left footed shot from outside the box is blocked. Assisted by Shoma Doi. Attempt missed. Shojae Khalilzadeh (Persepolis) right footed shot from outside the box misses to the right following a corner. Corner, Persepolis. Conceded by Léo Silva. Attempt missed. Shoma Doi (Kashima Antlers) right footed shot from the right side of the box misses to the left. Assisted by Yuma Suzuki with a cross. Attempt blocked. Ahmad Nourollahi (Persepolis) right footed shot from outside the box is blocked. Assisted by Ali Alipour. Attempt blocked. Yuma Suzuki (Kashima Antlers) left footed shot from outside the box is blocked. Assisted by Shoma Doi. Attempt missed. Ali Alipour (Persepolis) right footed shot from outside the box is close, but misses to the right. Assisted by Godwin Mensha following a fast break. Attempt missed. Hiroki Abe (Kashima Antlers) right footed shot from outside the box misses to the left following a corner. 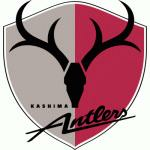 Corner, Kashima Antlers. Conceded by Kamal Kamyabinia.